The Birmingham Public Library hosts another poetry slam on Friday, October 7, at the Central Library. 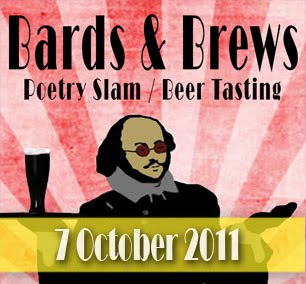 Bards & Brews showcases both veteran slammers and first-timers. Held on the first Friday of each month, slams are emceed by poetry slam events director Brian “Voice Porter” Hawkins. Each contestant contributes $5 to the pot, and winner takes all. Southern Fried Slam rules will be observed. Craft beer will be available for sampling. You must be 18 years or older to be admitted, and 21 years or older to be served. IDs will be checked. Live music at 6:30 p.m. Call time is 7:00 p.m. Check out the Bards & Brews page on Facebook for more information. This program is made possible by grants from the Alabama State Council on the Arts and the National Endowment for the Arts. Take a peek at photos and videos from past slams. Brian Hawkins (AKA Brian “Voice” Porter) will serve as emcee for the Bards & Brews Poetry Slam. He is a full-time performance artist and poetry slam events director. Mr. Hawkins has hosted "On Stage at the Carver" at the Carver Theater, the longest running poetry open mic in Birmingham (almost 7 years running). He has hosted numerous additional events of this nature and has also performed his own works many times across the country. The North Birmingham Library will host its annual Arts and Crafts Fair on Saturday, October 1, 2011. All ages are invited to stop by and browse the beautiful crafts created by the talented ladies of the North Birmingham Library Crochet Class. Light refreshments will be served. The arrival of fall doesn't mean you have to stop enjoying fresh produce grown in your home garden. Rachel Reinhart from Jones Valley Urban Farm (JVUF) will show you how to grow fall vegetables organically well into the cool months. Utilizing over three acres of vacant downtown property, JVUF is a community-based non-profit organization that grows organic produce and flowers, educates the community about healthy food, and helps make Birmingham a vibrant community. Wednesday, September 28, noon. In tandem with the Birmingham Public Library’s Eat Drink Read Write Festival (September 13-17, 2011), we are offering a month of Brown Bag Lunches which will both tickle your taste buds and inspire the “foodie” in you. Join in for some fantastic programming. Feed your body and mind at BPL's Brown Bag Lunch programs. You bring the lunch and we'll bring the drinks. Wednesdays at noon in Central Library’s Arrington Auditorium. Make it with no spare. Learn geometry the fun way by creating Tangram art. Tangram originated in China and is an ancient puzzle consisting of seven geometric shapes that fits together to form objects. 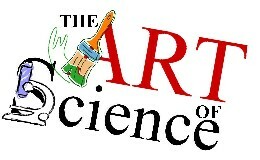 The Art of Science is a grant-funded after-school program conducted by Elinor and Winfield Burks at six Birmingham Public Library branches: Avondale, East Lake, Five Points West, North Birmingham, Powderly, and Springville Road. The program will run nine months—from September 2011 through December 2012—and will cover the science of nutrition, geometry, sound, plants, optics, recycling, and materials engineering in a hands-on atmosphere. Each program will begin with a science principle and end with a craft or group project. Supplies for the crafts are provided. At each session, the library will showcase books and videos about the program’s topic, and introduce age-appropriate databases for children to further explore what they learned at each program. The Art of Science is made possible by the Kresge Arts in Birmingham, a partnership with the Cultural Alliance of Greater Birmingham. What If The Shelves Were Empty? Get a handle on your mess!